In the aftermath of Hurricanes Irma and Maria, which struck the U.S. Virgin Islands in September, the territory has been working diligently to rebuild the once-bustling tourism industry. According to the U.S. Virgin Islands Department of Tourism, several important milestones in the goal of rebuilding have been reached including the opening of both the St. Croix and St. Thomas airports to commercial flights. Inter-island flights by Air Sunshine, Cape Air and Seaborne Airlines are also operational. Another important milestone was the announcement by one of the flagship hotels on St. Croix, The Buccaneer, that it would begin accepting reservations for November 1, 2017 and on. The resort was even able to host the annual St. Croix Coral Reef Swim, held November 5. Since the devastating storms, The Buccaneer has remained open to house relief personnel. The relief personnel continues to occupy several rooms, but the hotel is fully up and running for leisure guests including the beach, golf course, pool, spa, restaurant, and tennis court. St. Croix, which experienced less damage than St. Thomas and St. John, has many restaurants, stores, and activities that have resumed business as usual. In addition, The Norwegian Dawn cruise ship, which holds over 3,000 passengers and crew members, returned to St. Croix on November 11. Businesses and attractions on St. Thomas are also ready to welcome customers as of mid-October. This includes the downtown Charlotte Amalie shopping area, which is ready to open, with power and water already restored. On St. John, efforts continue in clearing debris and restoring infrastructure. 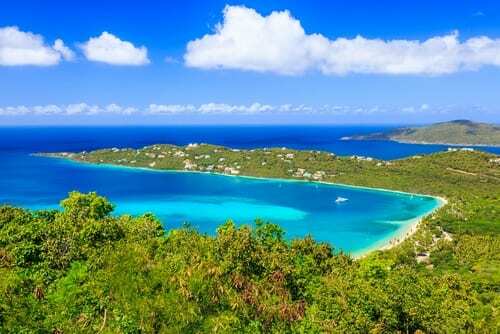 Their biggest project is the reopening of the Virgin Islands National Park. The final date for this reopening is TBD. Many beaches throughout the three islands plan to reopen in the upcoming weeks. As of November 7, the territory-wide curfew has been lifted. Call us today at 402-281-3022 to visit the Virgin Islands for yourself.